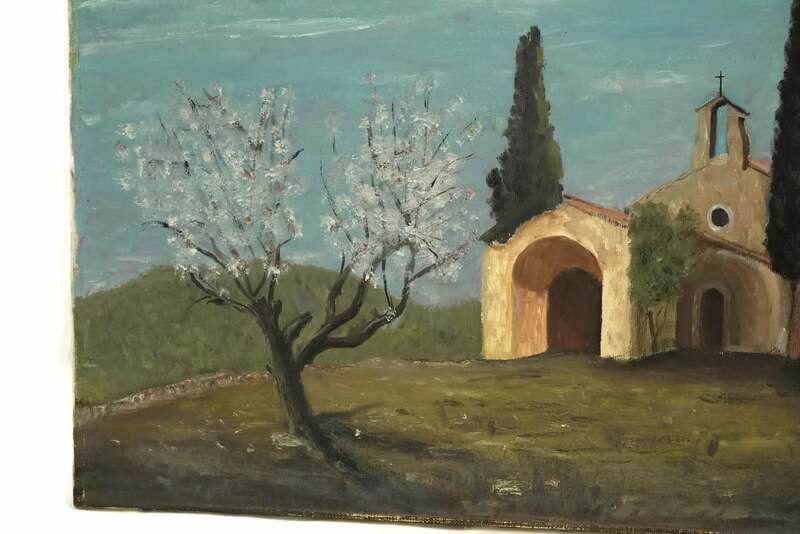 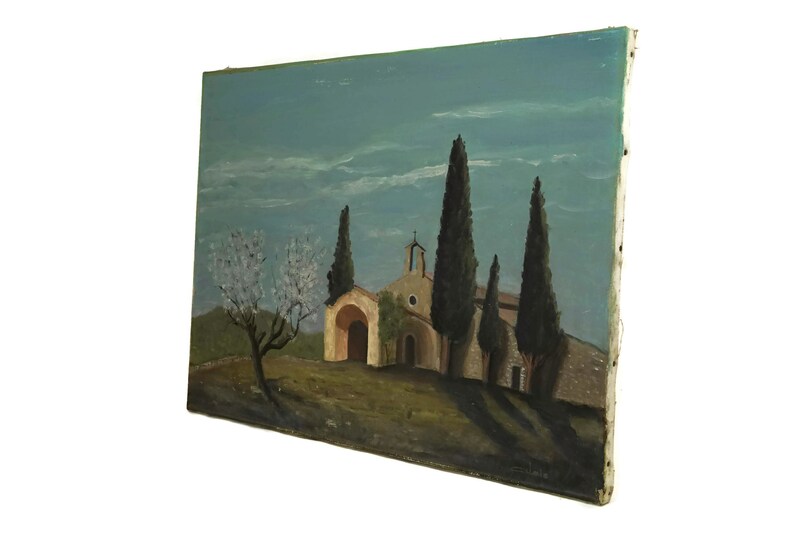 A large oil painting of a rustic French church in a country setting. 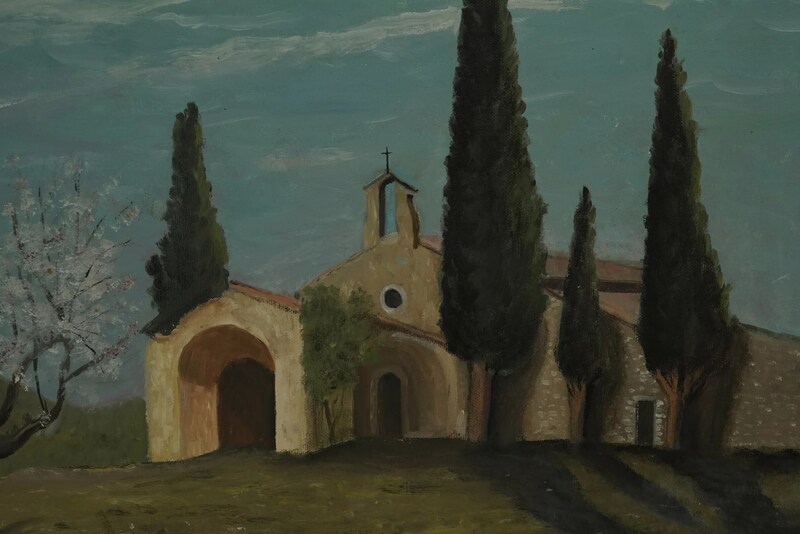 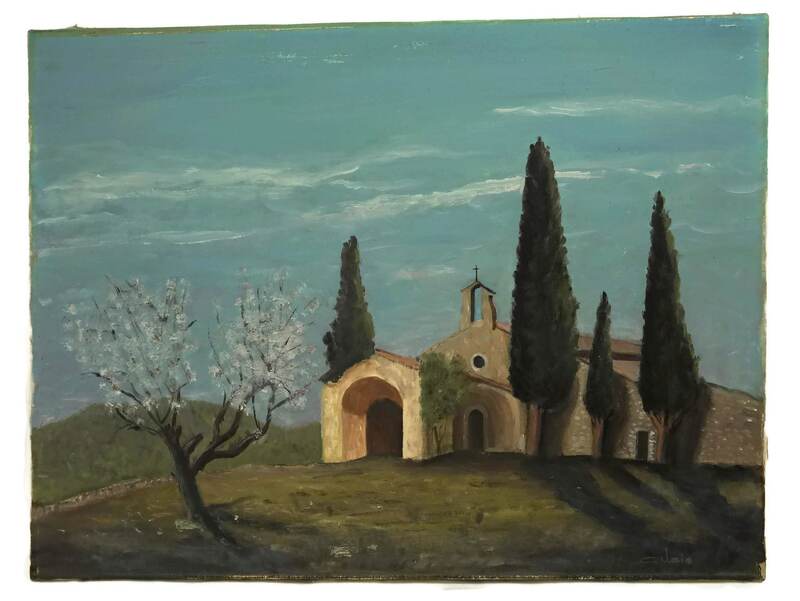 It features a landscape with tall Cyprus trees and the Chapel Saint Sixte in Prove,ce. 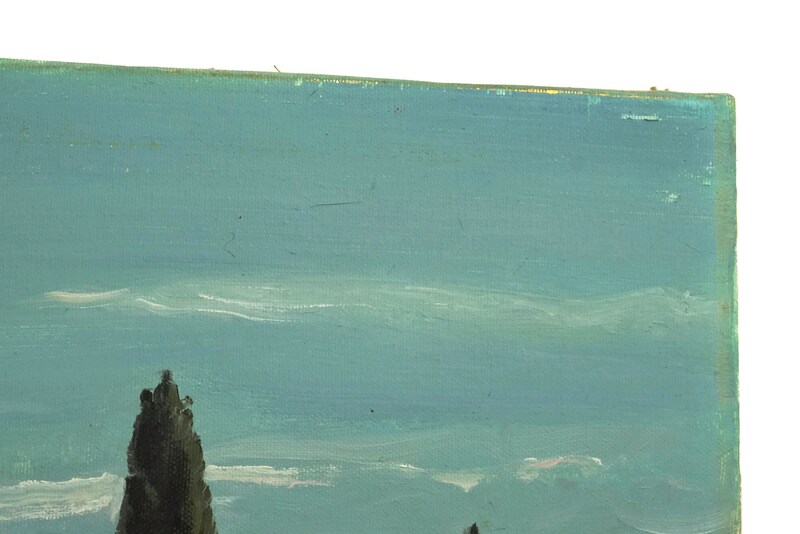 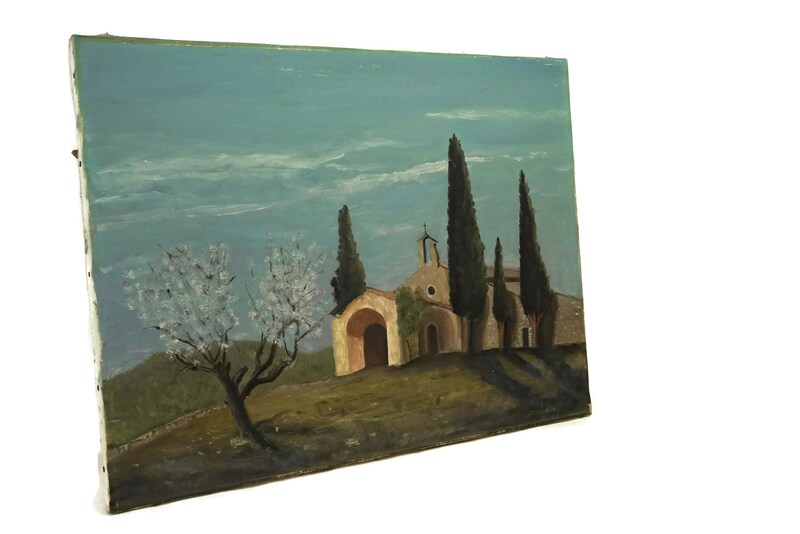 The art has been painted in oils on stretched canvas and has been signed by the artist Alais. 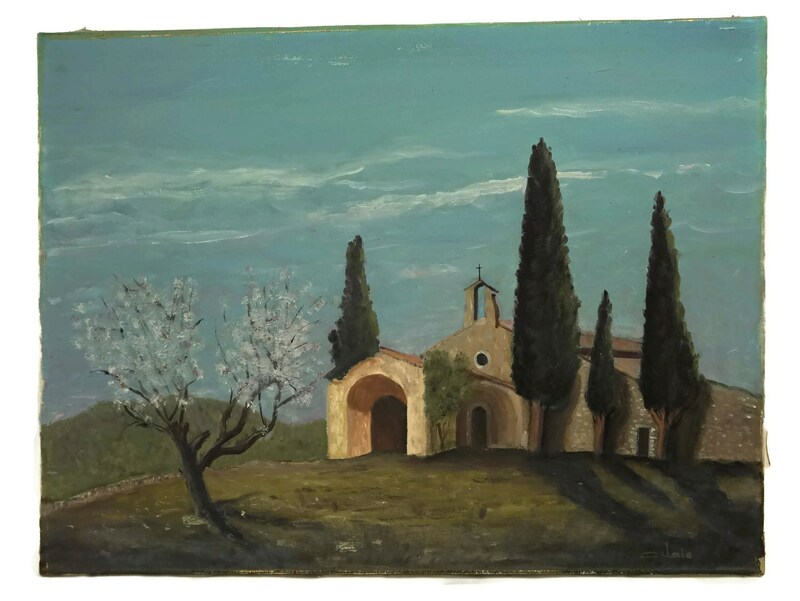 The church painting is ready for hanging. 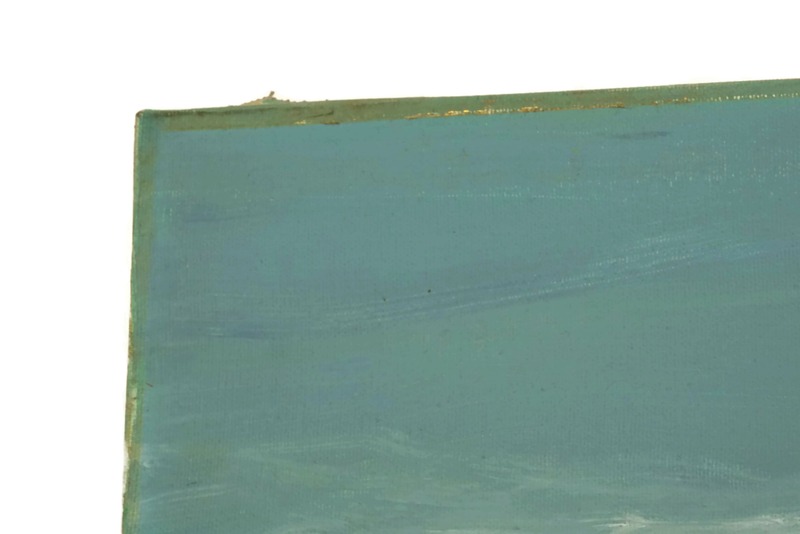 (61 cm x 46 cm). 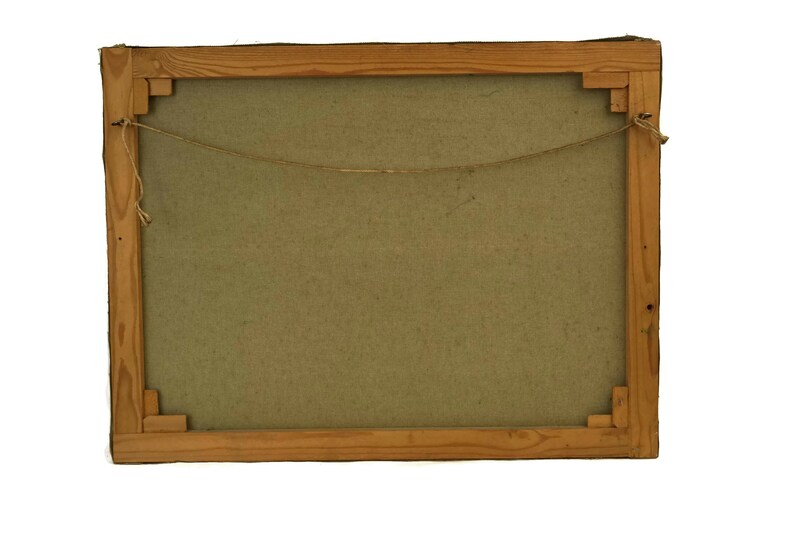 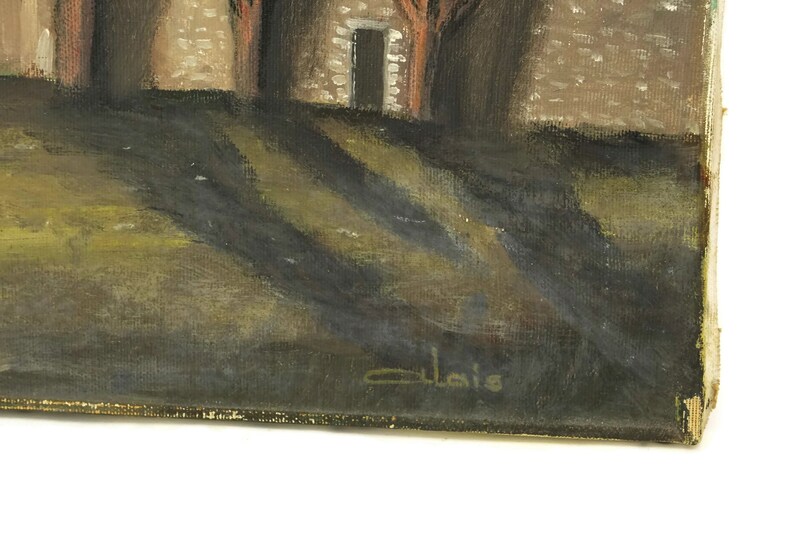 The oil painting is in very good condition with light signs of age and wear.